Is it made of earth or brick? 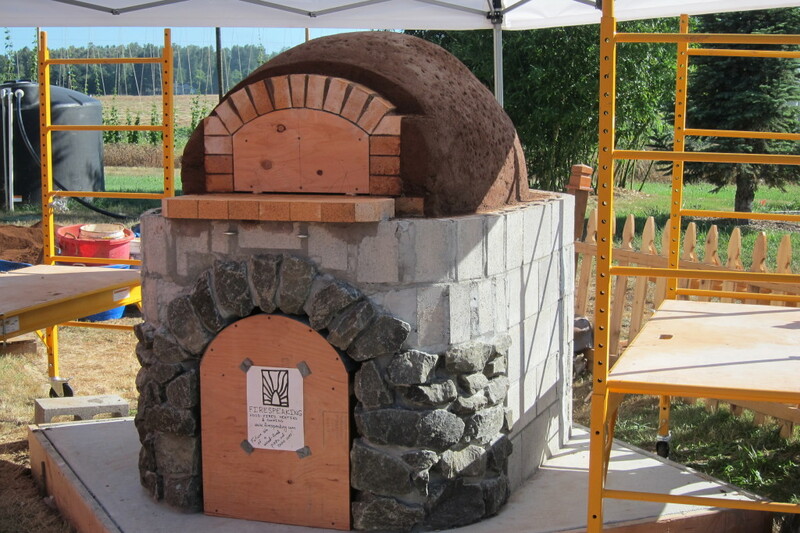 This is a common distinction in the world of wood-fired ovens and comes with a whole slew of assumptions. 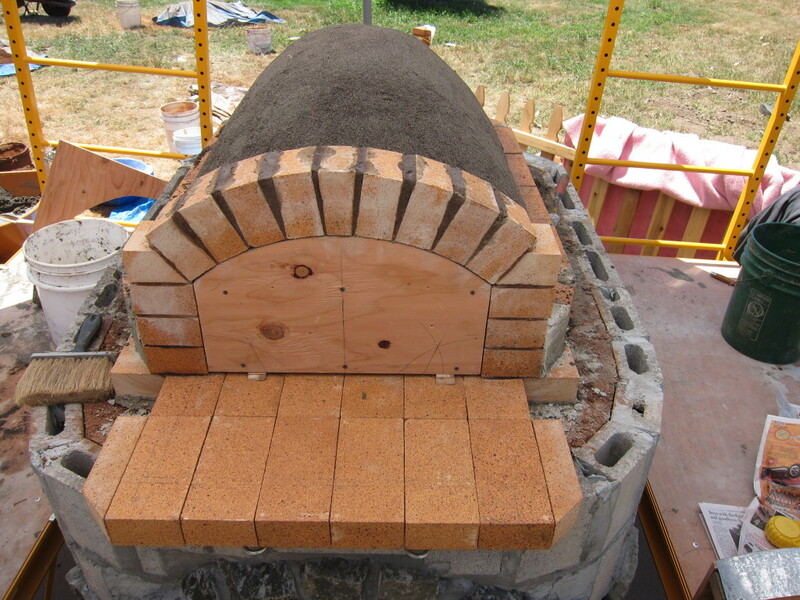 “Earth ovens are cheaper, easier to build but less durable.” “Brick ovens are expensive, harder to build but more professional and will last longer.” The oven build documented below is an exploration of the combination of these techniques to leverage the advantages of each. 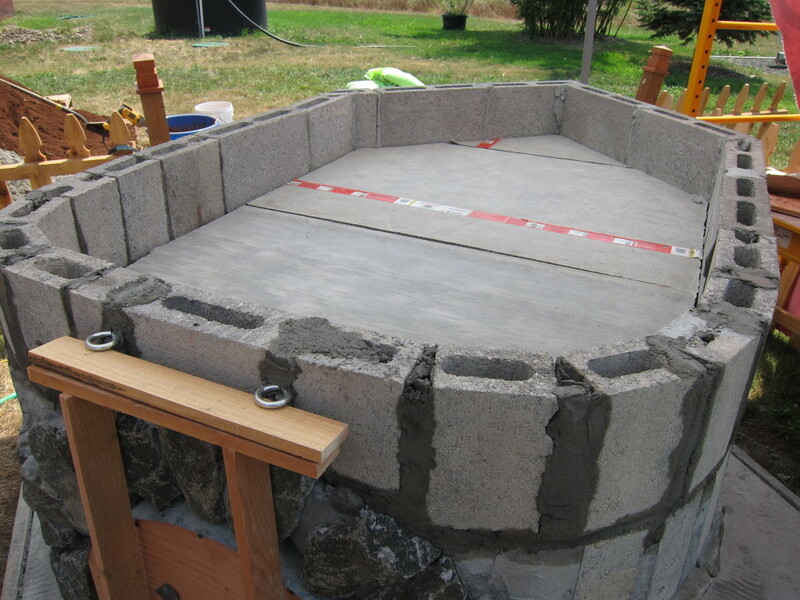 We use earth where its sculptural quality allows us to perfectly mold it to the shape that we desire. 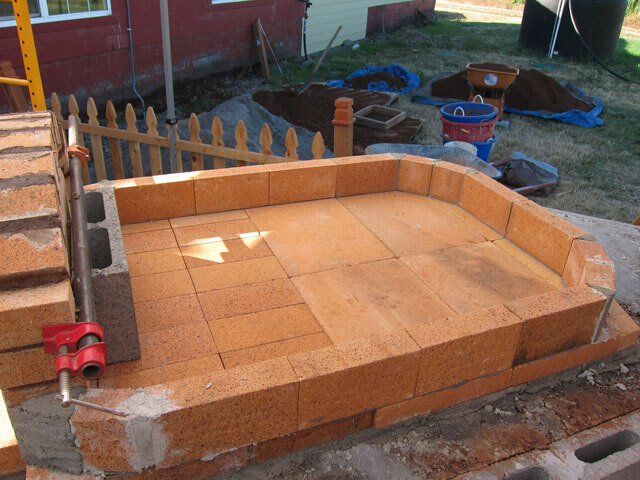 We use brick where it will give a good durable surface for cooking and in the entrance way to withstand the abuse of heated and passionate cooking. 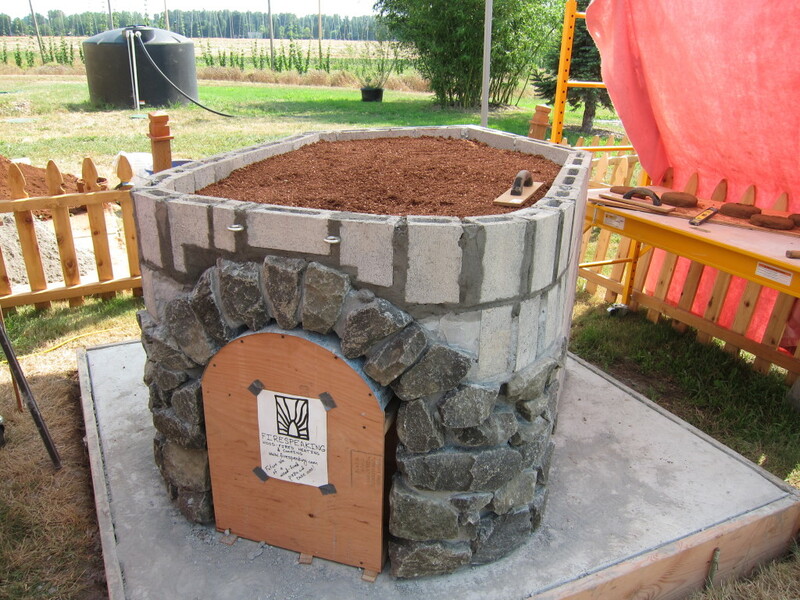 The book Build Your Own Earth Oven provides further reference for these techniques. 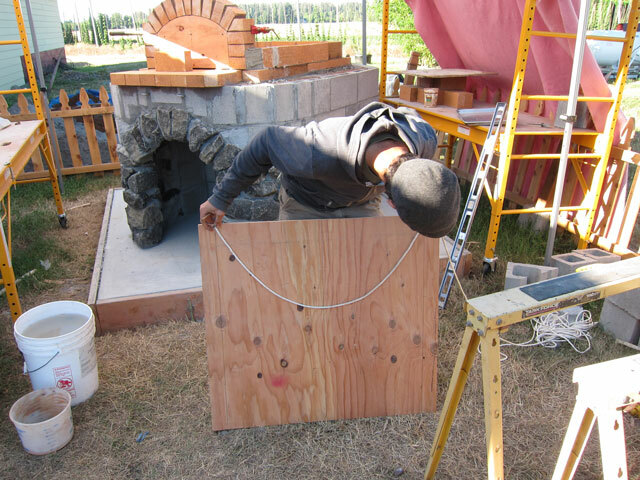 Using rope to define the shape of the catenary vault. 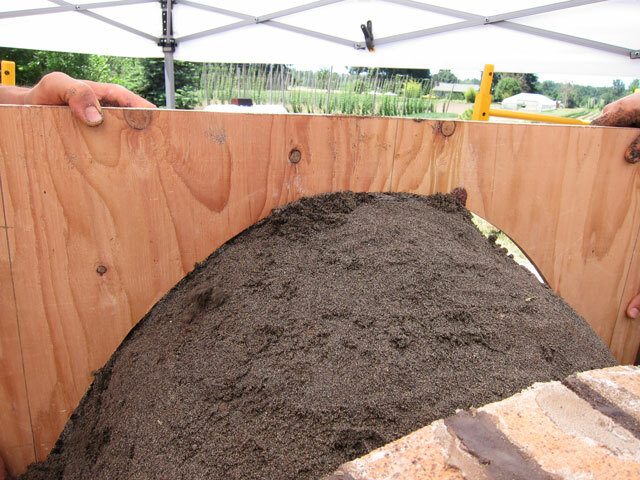 Â The plywood is cut and the negative shape is used as a screed. 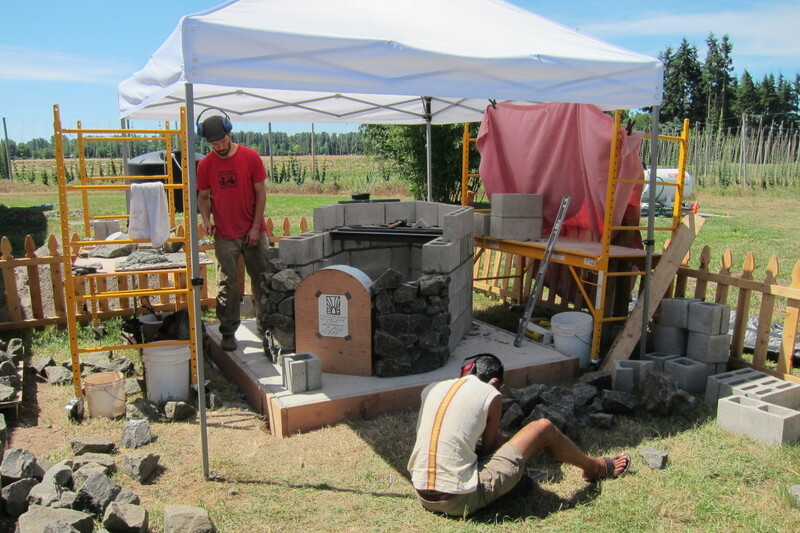 Eventually, a whole outdoor kitchen and service bar was built around the oven!…. 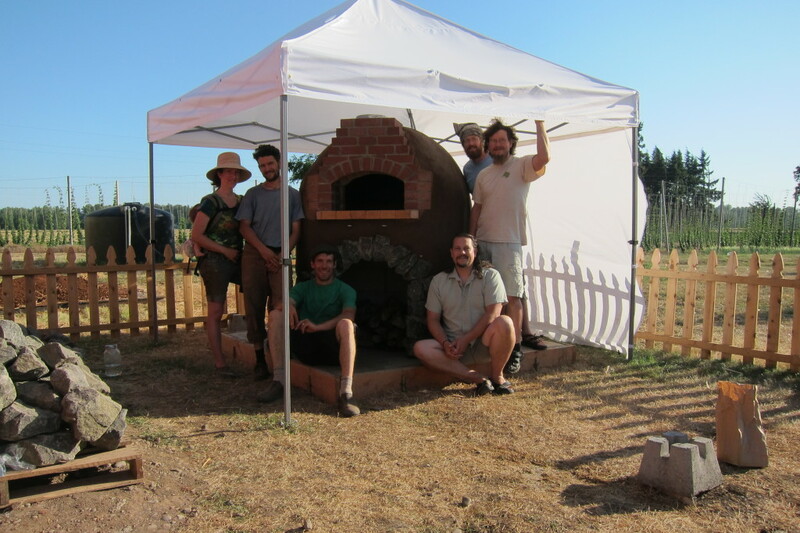 The book Build Your Own Earth Oven! I live in a high desert area with a lot of pumice and no clay, etc. 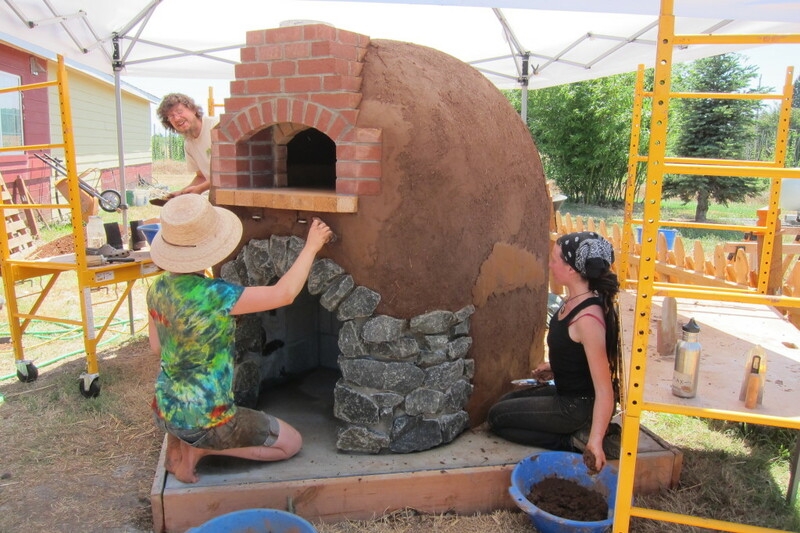 Where would I find the clay material to make my oven? 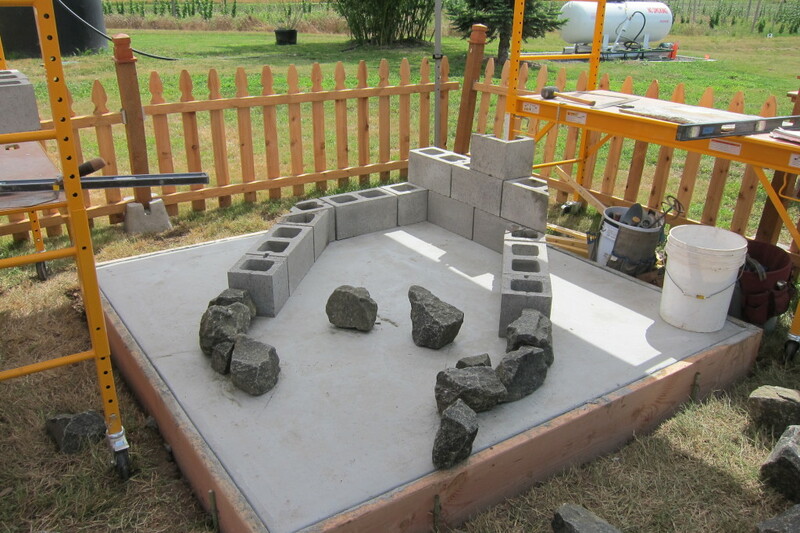 I have wanted to do this for several years and can not find the material need to add to cement & straw. 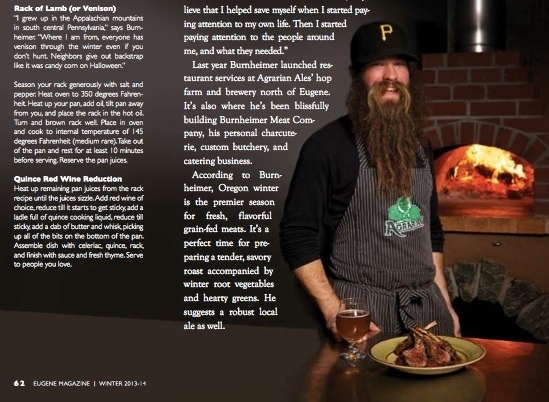 I live in Oregon and travel around Oregon and wonder if there is a place to get it. well, there are two approaches: one is to do some sleuthing and really learn about the land you live on/off. 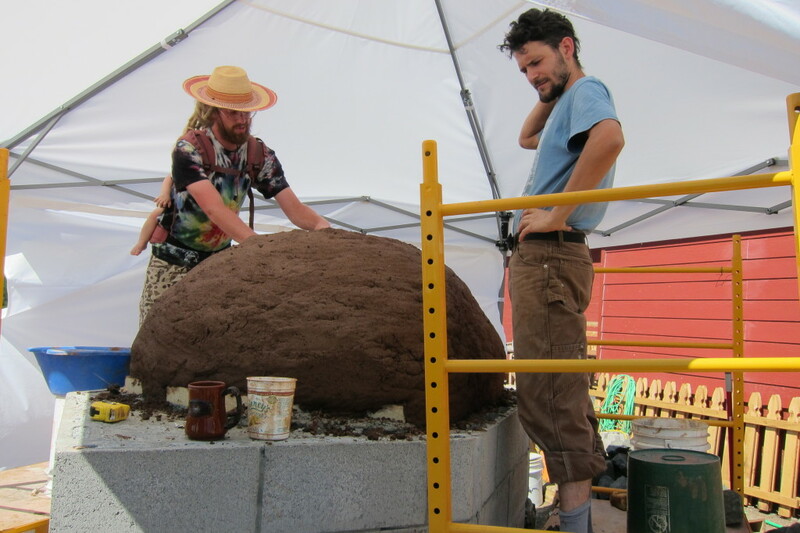 This, I think, is the more fun approach, and will reward you with much more than clay — even if you don’t find any (over east in desert area, ask at the soil and water conservation office, for starters…also read the section in the Hand Sculpted House about finding clay). If you travel around the state, there’s plenty clay all over the valley, in roadcuts, ditches, graveyards, building sites, etc. 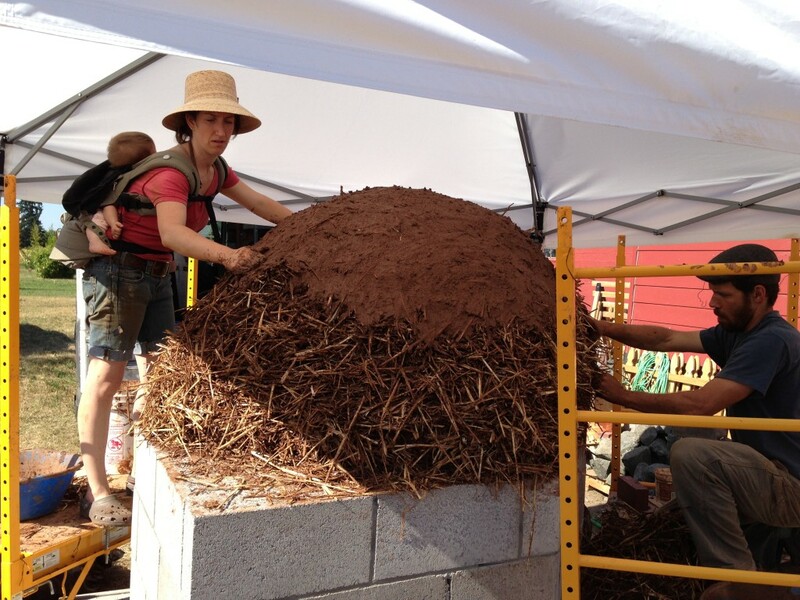 The other approach is to buy bagged clay — “fireclay” is typically available in 50 lb sacks from the building supply. You should also be able to find it, wet or dry, at ceramic suppliers. 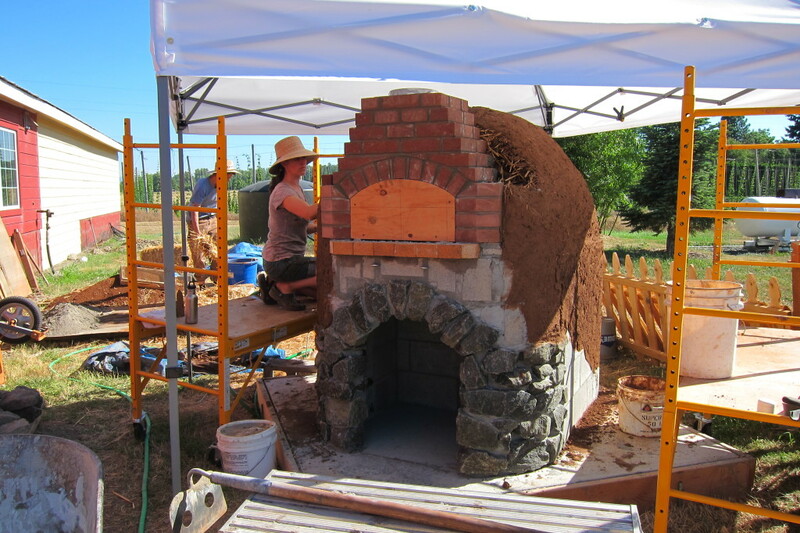 Is there an ash slot in the oven and how was it done – if yes, then did you have to drill through the foundation? 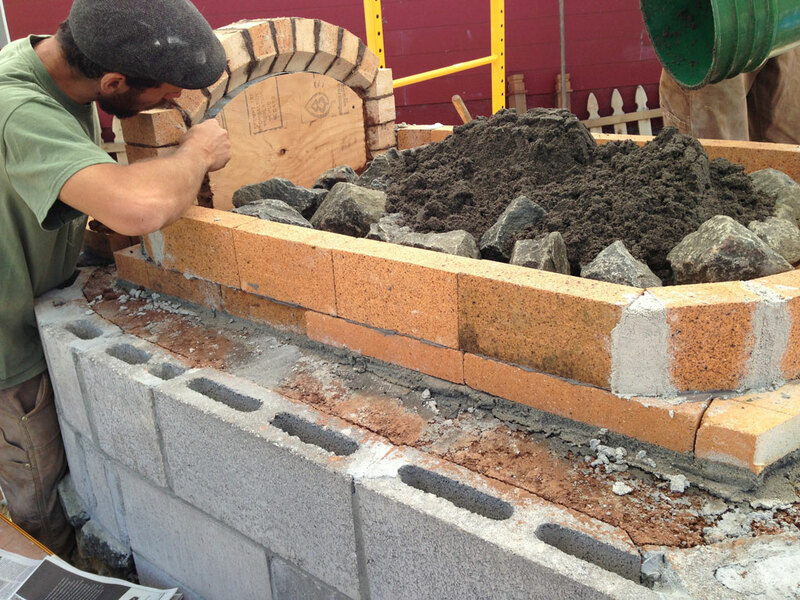 The insulation part – the stray is covered with wet cob layer? (how is the straw held in place?) The point that it burns through and there is a kind of insulating cavity between the thermal layer and the outer cob shell, right?